...and Toyota’s claiming 50+ MPG combined, which puts it in very direct competition with the Prius. Same powertrain, same chassis, similar size, and newer infotainment. Simultaneously, they’ve announced a Prius refresh that tones down the cybaroque elements of the front and rear fascias, and the rumors of the AWD system coming to the US are true (if it’s the same as what the Japanese model has, it’s about 7 hp on the rear wheels - very much a “help get you unstuck” system, not a “4x4 hoon Prius” system). 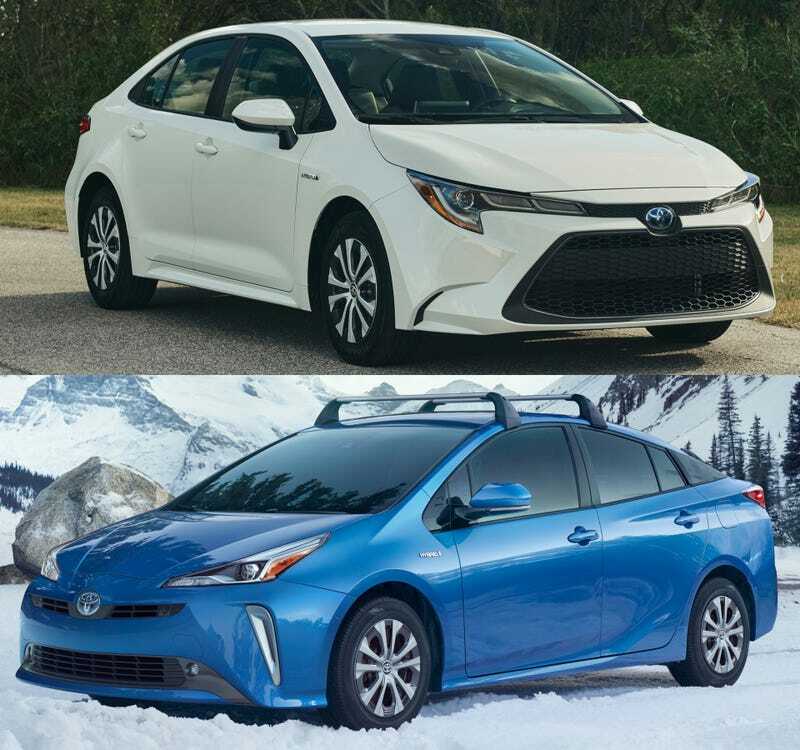 But, with the Corolla getting very similar fuel efficiency to a Prius, I wonder how many people will ask what the point of the Prius is now, and just buy a Corolla instead if they want a Toyota hybrid, especially if they’re just buying a FWD non-plug-in model. The Prius has the advantage of a liftback, an AWD option, a plug-in option, and of being typically positioned as a somewhat more upmarket car, but the Corolla’s more conventional styling and more up-to-date infotainment may well help it, and if the hybrids are built in the US, that may sway some buyers as well. And, the Prius’s advantage of being conspicuously green is basically gone, with EVs having beaten it in that respect.